Encounter the issue that DivX files can’t be played on Xbox One? Strictly speaking, DivX is not a multimedia container format but a video codec. As a video file, a DivX file is actually a AVI file encoded with DivX codec, with excellent multimedia performance, we can both connect the TV and USB device to Xbox One to play videos. Although the official site has announced Xbox One can support AVI with DivX codec, you still find some DivX files fail to play on the device. Probably some video & audio parameter doesn’t fit the device. For those who wannn play DivX files on Xbox One, you may read on to get some tips you want. To stream your DivX files to Xbox One, the easiest method to get DivX onto Xbox One is to decode your original video source in DivX into WMV format and then placing the file into a folder which is recognized by the Xbox console. 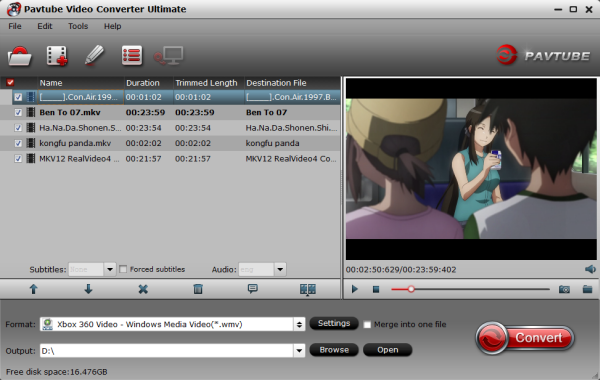 The Pavtube Video Converter Ultimate can let you do this job quickly and easily. 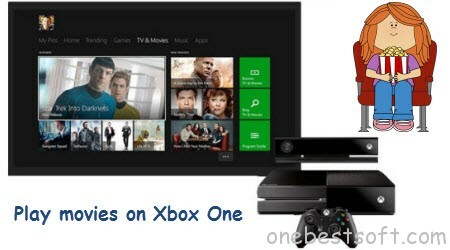 Overall, this video converter has been proven to be an outstanding Video Converter for Xbox consoles. With it, you can convert DivX to Xbox One compatible H.264 MP4, WMV effortlessly. In addition to DivX files, this program also allows you to transcode MPG, VOB, TiVo, MOV, AVI, MKV, MP4 to Xbox One/Xbox 360/Wii-U/PS4/Roku 4 for smooth playback. With the built-in editor, you can trim, crop, adjust special effect to your source video, so that you get the very part and effects at your will. This guide below will show you how to stream DivX to Xbox One for smooth playback. The whole process is just a few simple clicks. Before taking action, here’s more information about this application. If you are a Mac user, you can turn to Pavtube iMedia Converter for Mac (Mavericks, Yosemite and El Capitan included), which enables you encode all kinds of DivX videos to Xbox One on Mac OS X. Run the DivX Converter for Xbox One, click “Add Video” to load your video files like DivX, MP4, MTS/M2TS, MKV, MOV, TOD, TiVo, etc. Click on the dropdown menu of “Format” and then move your pointer to “Zune/Xbox 360 Device”> “Xbox 360 HD Video (*.wmv), which fits on Xbox One as well. Click the “Convert” button to start and finish the DivX to Xbox One conversion. After the conversion, click “Open” button to quickly locate the generated video. Now you can transfer the converted DivX videos to play with Xbox One as you want.